Historic accounts report that dynamic weather and currents along the south Texas coast contributed towards the loss of vessels. Such events may also led to their rediscovery. 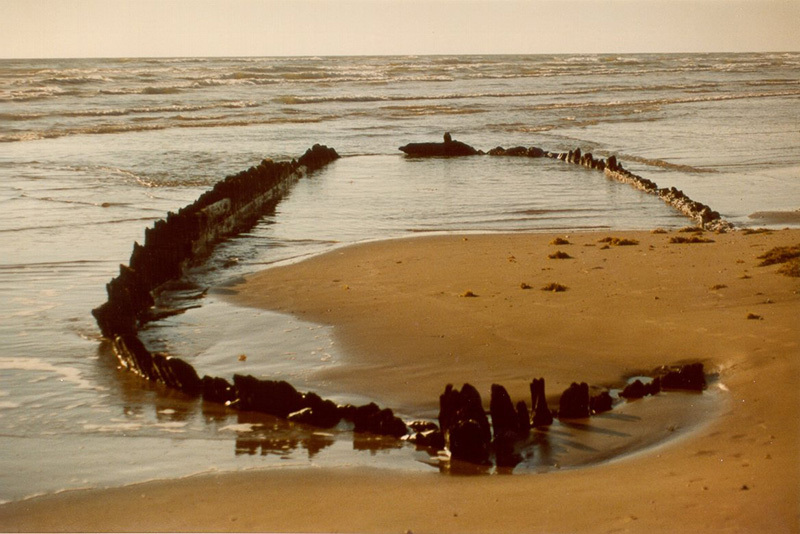 Recent storms have exposed two shipwreck sites on the south Texas coast. The Alamo will hit the road and be at the San Felipe de Austin Museum in San Felipe on Thursday, July 19. Roadshow presenters will bring artifacts from the Alamo and General Land Office (GLO) Archives that will someday appear in the forthcoming Alamo Museum and Visitor’s Center. Roadshow organizers will also gather feedback from attendees on their thoughts and suggestions for the future of the Alamo. San Felipe de Austin State Historic Site officially unveiled a new 10,000 square-foot state-of-the-art museum Friday April 27, during their grand opening ceremony. The Texas Historical Commission is accepting applications for the 2018 Preservation Scholars Program until March 16, 2018! This is a paid internship opportunity for summer 2018. April 21st should hold a special place in any Texian’s heart. For it was on this day that the Battle of San Jacinto was fought on April 21, 1836. In what is present-day Harris County, Texas, this was the decisive battle of the Texas Revolution. Led by General Sam Houston, the Texian Army engaged and defeated General Antonio López de Santa Anna’s Mexican army in a fight that lasted just 18 minutes. The Friends of the San Felipe de Austin SHS are excited to invite area residents and history lovers to attend a project update meeting on the new museum facility being constructed in San Felipe by the Texas Historical Commission (THC). On Monday, the Austin County Tax Assessor Collector’s office unveiled their “Legacy Wall”. A wall of plaques dedicated to the past Tax Assessors/Collectors who served Austin County. The groundbreaking for the new Stephen F. Austin Museum took place last Thursday across from the San Felipe de Austin State Historic Site. This is the site for the newly proposed museum. The groundbreaking hosted several special guests including State Senator Lois Kolkhorst, State Representative Leighton Schubert, former county judge Carolyn Bilski and many others.